Chores 6 What do you have to do? 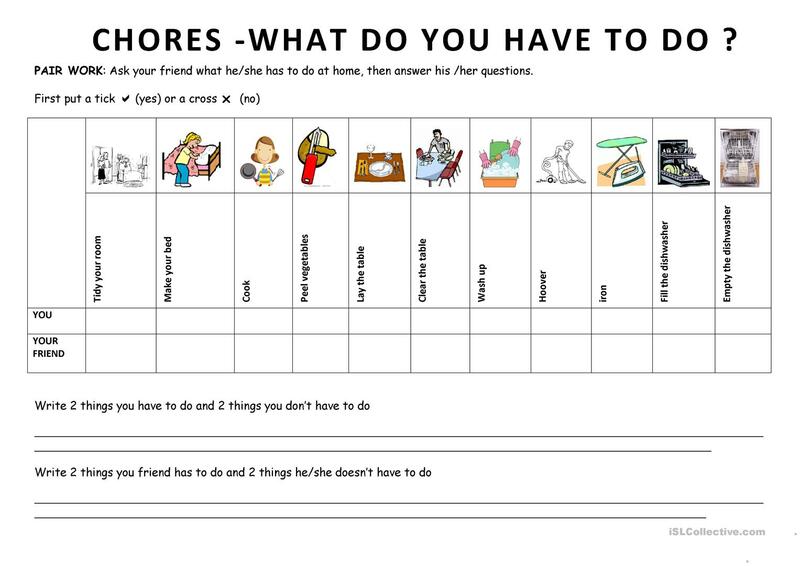 This is a simple worksheet to practise the HAVE TO DO structure. 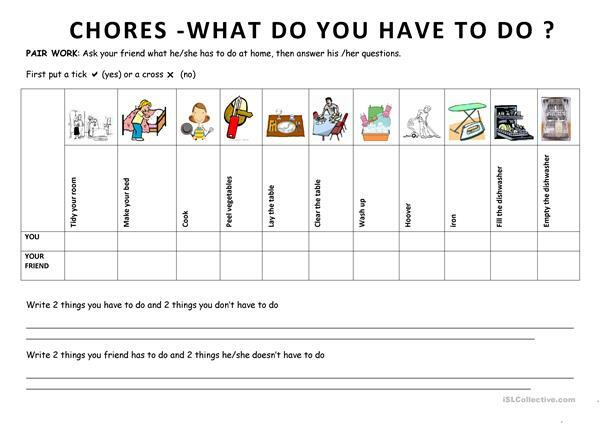 It also contains vocabulary related to Chores. The pupils have to start with a pair-work and then when they have finished they have to write a few sentences so that your classroom slowly returns to silence and is ready for another activity. I usually ask them to report to the class what they have learnt about their friend. I hope it will be helpful. This downloadable handout is meant for high school students at Pre-intermediate (A2) level. It is aimed at practising Infinitive structures in English, and is excellent for working on your groups' Speaking and Writing skills. nathalief is from/lives in France and has been a member of iSLCollective since 2011-09-29 18:00:12. nathalief last logged in on 2019-04-18 11:35:13, and has shared 15 resources on iSLCollective so far.